Researchers seem to think that 2017 is the year for Disaster-Recovery-As-Service to take off in South Africa. Given the rate at which the country is embracing cloud, this is no surprise. Says Iniel Dreyer, MD of Gabsten Technologies: "DRAAS is looking very promising within the local market. Most businesses are moving to the cloud, and disaster recovery is usually one of the top priority services to migrate." Market researchers MarketsandMarkets are expecting the DRAAS market to grow from $1.42 billion in 2015 to $11.92 billion in 2020, at a compound annual growth rate (CAGR) of 52.9% - adding that the Middle East and Africa (MEA) are expected to emerge rapidly in this market at high CAGRs. Organisations are increasingly recognising the cost benefits and customer service optimisation capabilities of modern disaster recovery services, while the traditional becomes more and more unmanageable and unaffordable. "Locally, businesses are growing more reliant on IT infrastructure and services, which will, in turn, lead to a need for higher availability of these services," says Vox' senior product manager of cloud, Richard Webster. "DRAAS, coupled with cloud, will become more accessible to businesses that previously didn't have the budget for fully-fledged disaster recovery (DR)." Cost implications and customer service issues are not the only areas where traditional DR falls short. According to ContinuitySA's head of availability and hosting services, Sasha Malic, short recovery times and a low tolerance to loss of data also means traditional DR cannot accommodate today's businesses. "In addition, in-house skills may not be sufficient to fully recover from traditional methods like tape restores. DRAAS allows organisations to focus on their business and outsource the DR function to service providers that have the skills." There are several reasons why companies are replacing their traditional recovery systems with DRAAS. "It makes little sense not to do the switch," says Commvault's systems engineering director for MESAT, Johan Scheepers. "DRAAS relinquishes an organisation's DR responsibility to that of a service provider. They don't need to 'double' their infrastructure costs in order to replicate a DR site for their datacentre. There is no outlay for hardware or software. Additionally, there are a host of indirect cost benefits such as no cooling, floor space and power costs, to name a few." Veeam's regional manager for Africa, Claude Schuck, believes traditional DR services were a grudge and wasted purchase. "Organisations bought equipment that was idle and was never incorporated into the day-to-day running of their business. To have DR always on standby was an insurance policy, but it had cost implications. With DRAAS, on the other hand, organisations only pay for the services they use, as and when they need them." As with any new technology, DRAAS doesn't come free of obstacles, though. Issues such as security, trust, bandwidth availability and business impact have been known to cause problems. Says Dreyer: "One of the downfalls of DRAAS is companies not paying sufficient attention to whether their business processes will fit in with disaster recovery as a service offering. For example, most organisations currently have their datacentre in their office. This means there are a multitude of processes that fit into this scenario. By moving DR into the cloud, it becomes necessary to ask: will those business processes still remain, or is there a lot of work to be done to reengineer processes?" Shuck highlights several concerns by organisations with regards to DRAAS: "Trust is an issue. Some business decision-makers want to see and touch their equipment and have to trust that their DRAAS service provider can meet the service level agreement requirements in the event of a disaster." Traditional DR services were a grudge and wasted purchase. He believes bandwidth is the most consistent challenge for organisations to fully and completely implement business continuity for complete datacentre availability. "In South Africa, there are certainly some bandwidth issues that remain. However, this is part of the cost of doing business and does not mean the responsibility should go away." Physical accessibility is the most apparent downside to DRAAS, Scheepers states. "Your DR resides in a remote datacentre, which means a company won't have access to it. If a particular component needs to be physically accessed, this has to be routed through the service provide. However, it must be mentioned that this issue is the same for any type of cloud service where datacentres are located all over the world." He also highlights the importance of conducing due diligence when selecting a service provider as not all are equal. "It is vital to ensure they are compliant with data regulations and have security build into the platform. It will serve a company well to establish the classification of the datacentre and to read the 'fine print'." So when is SA's DRAAS industry expected to exceed the traditional methods? According to Webster, as more organisations start adopting cloud, and fibre is more widely rolled out, businesses will be better placed to take on DRAAS services. As the economy declines, and stagnates, more businesses will consider moving from traditional large IT investments to service based models that allow the kind of flexibility needed, to meet their varying businesses demands." 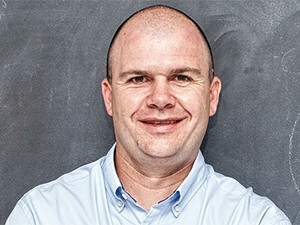 Dreyer believes the DRAAS industry is going to keep growing and although it's not possible to predict exact numbers at this stage, SA's DRAAS industry is definitely on an upward climb. "Just by looking at the main IT players, it is evident that there is a lot of emphasis in totality around cloud services, but disaster recovery as a service is the low-hanging fruit. If done right, this is a space where there's potential to add a lot of value for businesses." Not all service providers are equal. He predicts that it will be around three to five years before traditional disaster recovery methods have disappeared entirely. "The reason for this estimate is due to some companies having invested in hardware infrastructure that is still under maintenance. They're not going to simply switch it off overnight, but as they need to start replacing this infrastructure, they're going to start having conversations around DRAAS and cloud, instead of making another capex hardware decision." Malic points out that in South Africa, many large organisations, especially in the financial services industry, are not yet comfortable moving to a fully outsourced DRAAS model. Many of them prefer to use the same technology and approach to achieve some of the benefits. Private cloud DRAAS is, however, increasing in popularity, and as more organisations become comfortable with the benefits and risks of DRAAS, the market will see steady growth. It's expected that within two years, most organisations in South Africa will have moved away from the traditional recovery methods, to some form of DRAAS." The worldwide growth figures are significant and in South Africa, it isn't any different, Shuck says. "We predict DRAAS to be a game changer this year as it will enable businesses to meet and exceed customer and employee expectations around availability. As businesses place IT and availability at the centre of their operations, we can expect to see service level agreements with guaranteed backup and recovery times becoming the standard for the modern enterprise."